The narrator in the promo goes on to name each of the seven deadly sins: lust, greed, gluttony, pride, envy, wrath and even sloth, using clips from the upcoming season to illustrate each one. 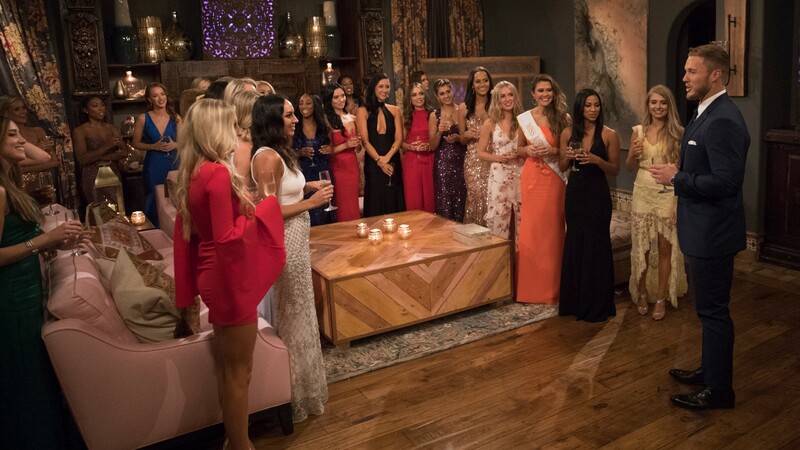 Bachelor Nation shows are certainly known for their drama, and it would appear that Underwood and his contestants won’t be an exception to that rule; the female Bachelor contestants vying for Underwood’s heart and his hand in marriage aren’t afraid to speak their minds, according to this trailer. This teaser is a far cry from Underwood’s early teasers, which featured him throwing rose petals, playing with golden retriever puppies, and otherwise appearing like a perfect angel. In November, former Bachelorette contestant Blake Horstmann admitted that the virginity talk was beginning to wear on Underwood — perhaps that can explain the shift in tone. Or perhaps, the fact that there’s already been controversy about contestant Tracy Shapoff’s old tweets pushed ABC to reconsider its strategy for getting Bachelor Nation fans, some of whom don’t like that Underwood was chosen to be the next Bachelor, to tune in when the show returns next year. Whatever the reason, we must admit we were surprised to see all seven deadly sins represented in this trailer. Sloth in particular looks like it’s going to make for a very interesting night of television. The Bachelor returns with a three-hour season premiere on Monday, Jan. 7 at 8/7c on ABC.